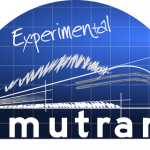 ﻿﻿﻿The 10.3 version ﻿﻿of Simutrans Experimental has been recently released. This is a minor new release, with several bug fixes like deleting stops from schedules, version numbers on savegames, lines’ average speeds and single vehicle convoys that refuse to load. This entry was posted on 2011-11-13, 16:51 and is filed under Announcements, Development & Releases. You can follow any responses to this entry through RSS 2.0. Both comments and pings are currently closed.